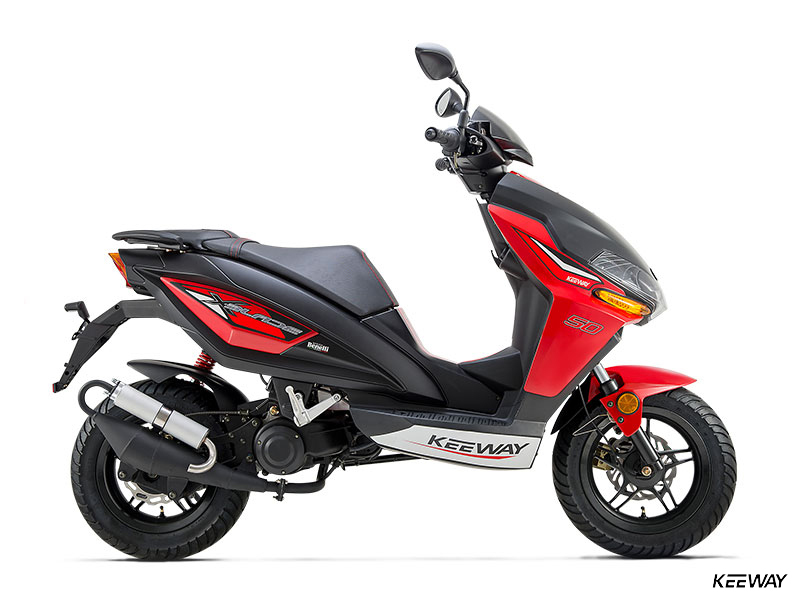 X-Blade 50 45km/h - Keeway Q.J. 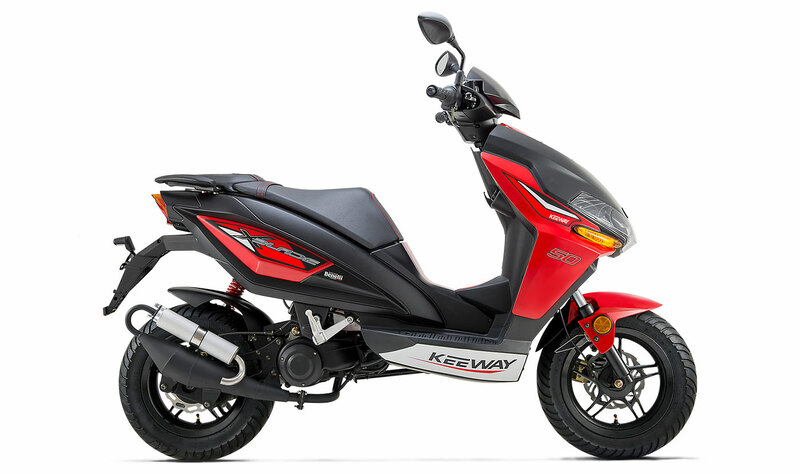 If sporty scooters/mopeds are your thing, you will love Keeway’s radical X-Blade 50. Covered in the some of the most wildly-styled bodywork available anywhere (and with aggressive graphics thrown in), the X-Blade makes a statement wherever it’s ridden – around town, out in the country or at the racetrack. The engine and chassis make statements, too. The X’s 49cc two-stroke engine sounds like a GP throwback every time the throttle is twisted, and the suspension, brakes, chassis and steering manners will have you smiling every time you climb aboard. There’s plenty of comfort, convenience and refinement here, too, including a comfy saddle, easy-to-use brakes, electric starting and wide-set mirrors. Go ahead … make a statement! 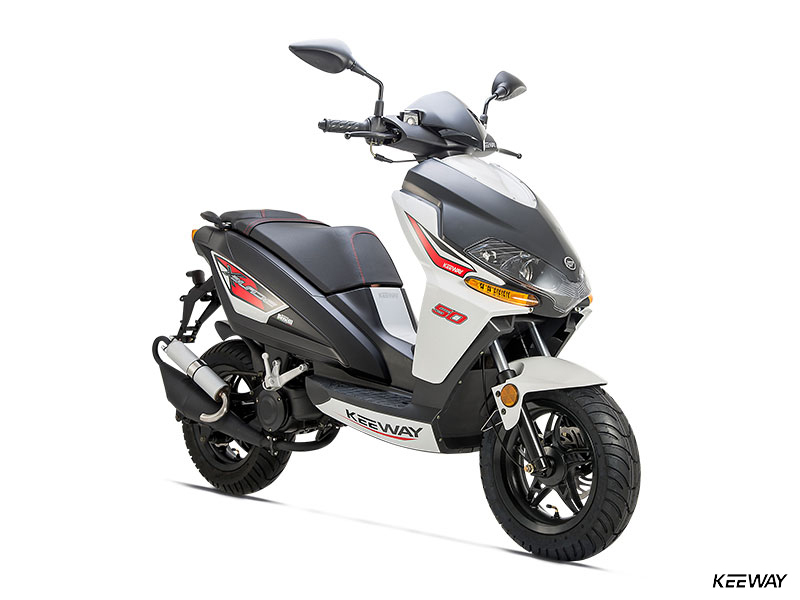 Get on an X-Blade 50. 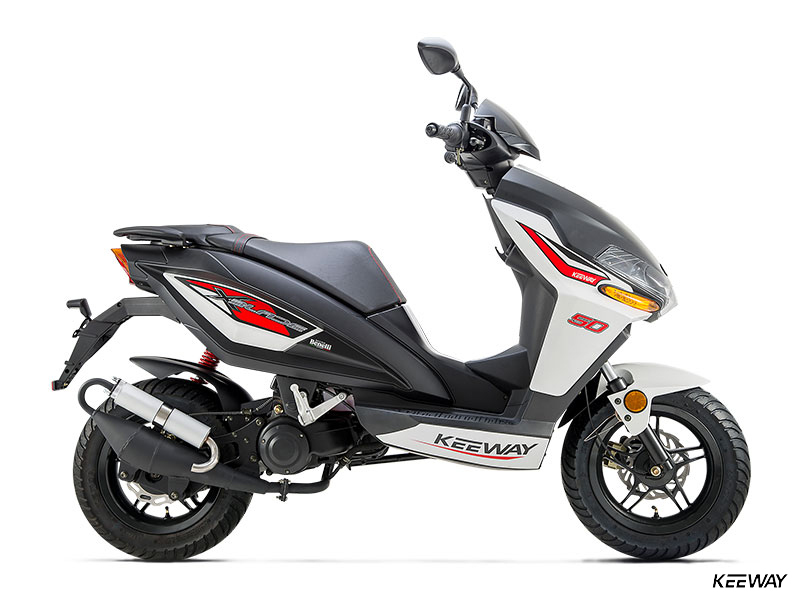 All-day riding is easy on the X-Blade thanks to its comfortable, uniquely-designed saddle. There’s also plenty of under-seat storage. A compliant telescopic fork up front and a single-shock system in back provide riders a plush and jar-free ride – the perfect thing for running around town, or through the paddock. TYPE 1-cylinder/2-stroke, Forcedly air-cooled .